Mount and Store your gear securely with our Modular Roll Bar (Tubing) Accessories! 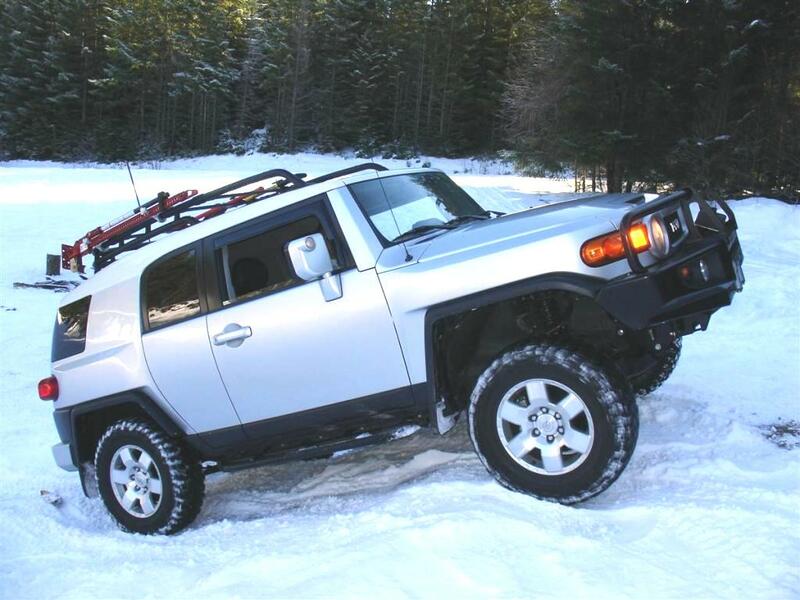 At FOURTREKS we design, manufacture, and sell the finest precision off-road accessories available. We are very proud to bring you these innovative, high quality, American made off-road products. Innovative solutions to store your gear and more. Our products fit JEEP, CHEVY, FORD, TOYOTA, XTERRA, LAND ROVER, RHINOS, RANGERS, RZR'S, ROCK BUGGYS, DUNE BUGGYS, BOATS, DRAG CARS AND RACE CARS. Dealers Welcome. INTERNATIONAL ORDERS WELCOME. JUST CONTACT US AND LET US KNOW WHAT YOU NEED. Quite possibly the most versatile way to mount all sorts of items on your vehicle's tubing. Our products will help you get ready for your next OVERLANDING adventure. Our Modular Clamp Rings are here for your roll bar, roof rack or bumper needs. MOUNT IT ON YOUR ROLL CAGE!!! MOUNT IT ON YOUR ROOF RACK!!! MOUNT IT ON YOUR BUMPER!!! "ROCK SOLID" AND SECURE! Be sure to check our other items such as our Yoke Guards and Shift Knobs to name a few. Testimonial of the month: Love the rotopax mount. Ran it while I was in Arizona and Utah. It never slipped or moved. Browse Our Online Catalog. With our pull down menus online ordering is a snap. Fourtreks products can be used to equipped your four wheel drive with recovery tools you might need on your next overlanding adventure. Our mounts can be used to keep your recovery tools secure and readily available when needed! Fourtreks products have been seen in Dirt Sports,Off-Road.com, JP, Crawl, Truck U TV, Speed Channel, C4x4.com, Offroad-review.com, yotatech.com, fjcruiserforums.com, IHMUD.com, lastgreatroadtrip.com, pirate4x4.com, Bronco Driver, expeditionportal.com, fjcc.com.au, 4WD Toyota Owner, Off Road, Four Wheeler and Four Wheel and Off-Road magazines. Here is a picture of our new Sand Ladder Mounts holding a pair of MAXTRAX recovery boards to a 4x4 vehicle's roof rack. These mounts will allow you to attach your boards solidly to the tubing. 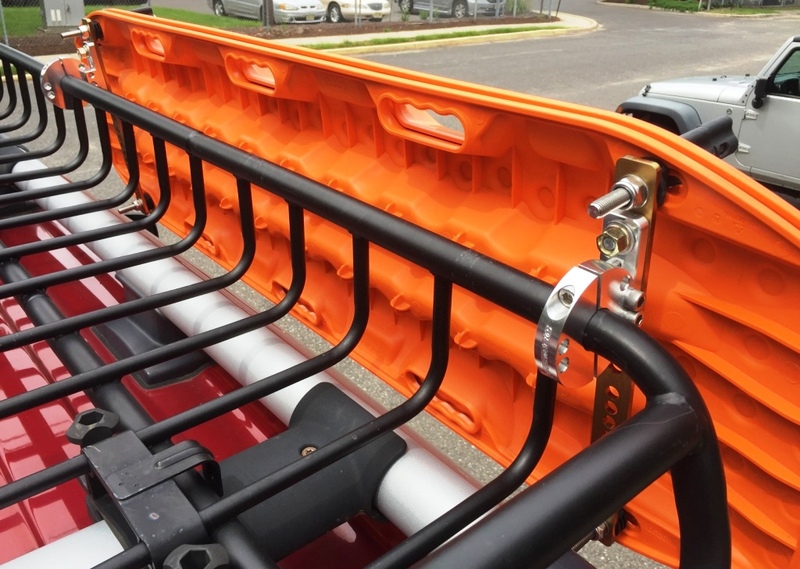 With our extensive selection of tube clamp sizes this product can mount to many popular roof racks offered on the market today. Fourtreks products are here to help you be prepared for your next overland excursion. IN STOCK NOW!